It's really annoying to only get 5 types of relics for each era. This means we have to do all the key/relic farming again. There should be a way to make sure that everybody in the team is using a specific relic. I didn't like key sharing before, because there was always the chance of someone just not using their key and leaving the squad and there was basically nothing you could do about it. This would have been a nice chance to remove this risk. The way enemies spawn in should be changed. Nullifiers are the biggest problem here. I'm not saying they should be removed, but having them spawn randomly all over the place is really annoying. Heavy units like bombards and heavy gunners are also a problem, also because there seem to be a lot of them in the higher levels. I would like to see small squads spawning in together. A lot of other problems can arise depending on the mission type the fissure is in, especially when soloing. Making sure that you can always get to the fissure before starting the main objective would be great. I already had to g into a capture mission, where I could get to the fissure after rescuing the target, so I had to protect the target while closing the fissure. In sabotage missions the timer should be interupted while the fissure is being closed imo. There should be markers on the map at least for the fissure. Wouldn't hurt to also have markers for the things you have to throw into the fissure. I hope the old void gets something nice in at some point. Would be nice to have a boss in that tileset. Side note- sabotage caches should drop relics imo. Searching for them probably takes longer than doing a spy mission and right now the rewards are kind of bad. The bullet jump mods on uranus and the dual stat mods in the hive sabotages are nice, but especially the new reactor sabotage missions are missing something good. My personal issue as a fellow Loki player is spawning Nullifiers with their bubble. Yeah, sure, It's not a big deal to be invisible all the time and kill everything but when a Nullifier spawns on top of you, you are pretty much screwed. Any skill or prime gear or tons of good mods won't help you. Another thing I realised while closing some fissures - the amount of enemies spawning is always THE SAME. You are doing Lith (T1) Relic? You get THE SAME amounts of Bombards, Nullifiers and stuff like that as in Axi (T4) Relics. Now imagine that you are new to the game and wanted to try that "fissure thing". No comment needed. Also the amount of void enemies on solo missions in still THE SAME as in missions with full team. Only the level of enemies changes. To be precise, I really like how the fissures are hard when doing solo but it should be as hard with 4 people as it's hard when you can count only on yourself... or solo fissuers should be as easy as when fully teamed. I would like to agree with that. Finding the fissure isn't a funny thing. It's just boring. I just can't understand why you had to change the void. If before was fun try to run 40-60 mins of survival or wave of defence, now it doesn't make any sense. The RNG was also way better than choose your reward. There is no fun on it and no glory at all. If before I had a reason to play (try to run several minutes on t4 and having fun with friends) now I don't have any. At least you could give the choice to people to choose their way to get the prime parts. Your way, choosing the reward like princess.. Or the old way and fight for it like warrior. Same thing every time. It is mindnumbingly boring. ALREADY. It's tacked on to an ordinary mission that noone cares about. The fissure is the only reason people are there. The fight reduces viable warframe and weapon choices to only a few. No more challenge of varied endless missions. Only one short fight matters. The only improvement is being able to get what you want faster. Even if tweaked, Void 2.0 still has the real potential to kill most of what was fun about Warframe we came to love. Many veteran players are likely to leave, as there is nothing of interest in this game for them any more. The only way I see this update going forward is bringing back void 1.0 alongside void 2.0, just to have some choices in gameplay. Sums up the problem perfectly. I'm bored of Fissures already. I find them limiting in terms of frames (Bring Armor) and extremely repetitive. I miss the old Void already. If DE are interested in fixing this, I would like to see Void Tears in far more missions at anyone time. No, I don't like rescue. No, I won't run it just because there's a Fissure there. Next, when we activate tears, spawn mini tears all over the map, that spit out tough Orokin enemies. They drop Reactant. We have to gather up their Reactant and bring it back to the main tear, to close it. No time limit. Let the Fissure be the mission, not be tacked on as a boring mini game. Especiually when it forces you to backtrack to the beginning when you're at the end because it hadn't spawned when you explored the level. So now, some of my own thoughts and salt. I happen to like the fissure mechanic. It can be the intense burst of adrenaline (though newer players might freak out when they see packs of bombard and nullifiers in a T1 fissure) in a mission you're otherwise steamrolling, and that's cool. Choosing your reward, that's really cool, being able to see the possible rewards of the relic you're taking with you too, and being able to enhance the probability of rare drops is also. Removal of keys and cores (now relics) from drop tables, that's cool, nobody likes those. That said, I agree with most of what my esteemed Tenno colleagues said. 1°) Void traces are too scarced. The time required to get a radiant boost to one single relic is... meh, to say the least. 2°) Void is now mundane. Nothing in it. It's... well, void. 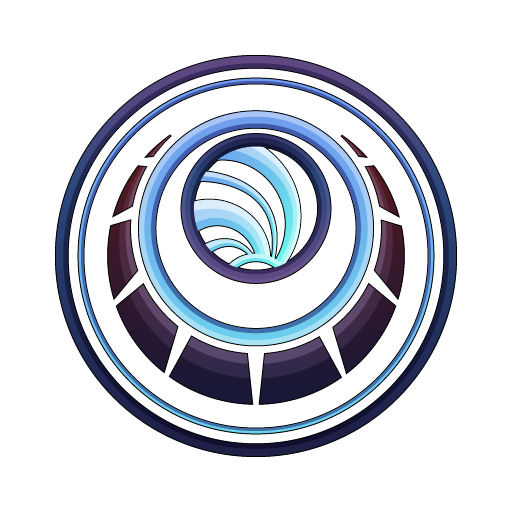 Drelicts have their vaults, the Moon has its challenge rooms, and now that formas and primes are gone, what does the Void have for itself? The magic is gone. The Void was that special place, the one you accessed through keys (what will Corrupted Vor say now btw?) to get you the prime materials, now it's just another tileset. That's mostly where my salt is coming from: as I said, the magic is gone. It's a weird thing really, because the golden and silent hallways are the same, the sounds and the lights didn't change nor flicker, and the world ain't smaller... but there was more in it. Why would anyone do a longrun in the Void now? Where has gone the excitment, the "let's hold out 5 more minutes to get a chance to drop this or that" when you're already stretched out to the limit? The farm is annoying on the long run, and farming for rare keys was also... but with all the frustration and thorns, there was the aura of the void, and now it is gone. 3°) The fallout. Ducats and forma farm is getting much more tedious, and wiped out one credit farm possibility. 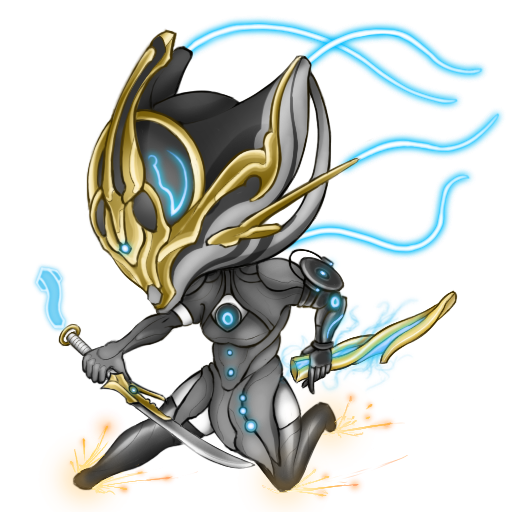 For ducats, why not, it's supposed to be a mid/endgame thing after all, but the forma? We need them all the time, a companin needs 6/8 of them, a weapon 4/8, a warframe 3/7! Void would be, to me, much more interesting if we could still farm forma there. In sabotage caches and longruns. Unco drop as a forma BP, rare drop as a fully crafted forma, ready to use. And Ducats could also drop in treasure containers in secret rooms, in small amounts, (like 10 to 30). Keeping it a small amount wouldn't trivialise them, putting them in secret room would be an incentive for ppl to do them. One person also said a few posts ago taht void traces could be a drop in the void; well, what if small amount of traces where to be drops? Say 10 to 20 because you could get multiple drops in a longrun and if drop sizes are too high it gets mundane, but that possibility would be neat. If longruns in the void give Void traces(10 to 20), formas (BP or crafted), couple it with rare core packs (nothing to see with the what the cosmic poney were you thinking with those alerts) and it would be another story than the useless junk we get there right now. Couple that with potential ducats (10/30 in the secret room's vault, maybe 50 for the rare drop of very difficult missions), that's a Void I would enjoy exploring once more. The Void would not regain its magic, but we would have reason to get there and do difficult missions, that would be specific to the Void. I have the same grips with this system as many other posters, so I'll keep this brief. The system is really repetitive, despite taking place in different mission types, it still involves repeating the same basic goals. One of my ideas involves making prime parts rare drops in the Void, not just from the mission rewards, but from lockers, containers and enemies. You can keep the Void Tears as a means of reducing RNG, but change up how they are played a lot. Make some of them a puzzle, or challenge within the rift that needs to be solved. If you can, make the puzzles procedurally generated so they don't stay the same. Take it off Relics. Parkour and Hidden Room containers in Void can drop Forma BP, Relics, as well as Traces and Ducats in small amounts. This leaves ample reason to visit the Void. A map with Fissures on it can be one of two circumstances. Either the Orokin have taken over that map (all enemies replaced by tougher Orokin; good odds). Or, it's a Crossfire situation, with the normal faction still holding out against the Orokin (less common). Do away with the mini Excavation entirely. It would not be needed as the change to tougher Orokin throughout would be the mission enhancement. Edit: the room with the Fissure would be well defended by Orokin, making just getting there a part of the challenge. I think the old Void system was better and way more fun, it was one of my favourite things about Warframe. Void fissures are way too repetative, and that makes everything really annoying. The first time I played was fun, but later it just got tiring.You play the same thing over and over and over again, and the only difference is the enemy level. Besides, it's really short, which makes it worse, at least for me. Also - where is all the excitment and "magic" of the Void? Sure, there were a few annoying things about it (like farming for rare keys), but it was all worth it. It was fun just going to a survival mission and having fun with other players as we try to stay alive as much as we can, and getting rewards along the way. It could be really challanging, which is what I liked about it. Keysharing was nice too. But now, it's all gone. So, in my opinion, either bring back the old system or at least add some variations to the new Void fissure missions. It would be more fun. Just don't leave it on this and only this. Just wanting to repost that there is still the issue of Reactant not dropping. I didn't get my first reactant til there was only 12 seconds left on one of the last ones I just tried. I would just like an explanation of why when my void keys were converted i ended up with less access than i had before. Ex. i only have 5 of each of the 4 types of relic leaving out at least one of each type, before the update i had at least 1 if not many of all void key types. I'm thinkin some type of fix should come down the pipe or you are going to loose players for devaluing there time and effort gathering all those keys just to have access to certian drops removed from them. We should be able to enter void fissures to farm void traces without spending a relic. Now we have to waste relics in order to refine them. For this to work, Void Fissure matchmaking should be changed to something more similar to Vault matchmaking; let us see if players have a relic equipped (just like can see a Dragon key), and if that relic is refined or not. This way we can use the recruit chat to efficiently run fissures, and make parties where no one has a relic just to farm void traces. This would promote teamwork and preparation, instead of even more mindless grinding. More variety in the fissure mini-games: One of the major reasons for Void 2.0 was to reduce the monotony of running the same mission over and over, wasn't it? There's so much possibility here that I can't believe you shipped with only a single fissure type. Do a mini-defense. Spawn Corrupted Vor. Teleport everyone to a mini-spy vault. Anything to mix things up a bit. Traces: Right now, the best way to farm traces is to not complete the mini-game since the longer the fissure is open, the more traces can drop. This feels backwards to me; I would rather see the traces drop in a clump when the fissure is closed. Maybe you could even make it so the faster the team closes the fissure, the more traces it drops. More fissures on the star chart: I realize that having tons of fissures for each era would spread the player base too thin. However, I'd love to have an alternative to "Well, I guess I won't be doing T3s for three hours" if I don't feel like running the one particular mission that got rolled. DE has stated they wanted to lessen the grind for obtaining rarer prime parts. With the old system, you had to farm keys, then run void missions over and over in the hopes of getting the item you wanted. Now you have to farm relics, use those relics to run fissures and farm void traces, farm more relics, refine them with traces, wait for the proper type of void mission to become available, then run even more fissures with your enhanced relics, and you still have a lesser chance to get the rare prime part you were looking for. If you don't get that part, you have to repeat the entire process all over again. This doesn't include the numerous failed attempts due to lack of reactant drops, or any other reason a mission may be failed (i.e. a fissure during a rescue mission spawns AFTER the holding area and your rescue target quickly dies in the ensuing fracas). While grinding missions in the old void was largely solo-friendly (for most mission types), void fissures are much less so. If your warframe isn't capable of withstanding high amounts of damage, you're pretty much screwed with fissures, while the old void allowed options for stealth or misdirection. Prefer a less-sturdy frame that relies on it's powers rather than raw armor/HP to get by? That nullifier that spawned right on top of you doesn't care. You're now his b!#ch! If your weapons aren't capable of quickly dispatching large numbers of enemies quickly, you're pretty much screwed with fissures, while the old void let you take down enemies at your own pace. Are you a sniper? Too bad, you can't do that anymore for prime parts! RNG is a terrible thing to base success or failure on (talking about reactant). My very first attempt at a fissure, I got up to 80% with 2 minutes of time remaining. In that 2 minute duration, NOT ONE REACTANT dropped and I failed the fissure. This just isn't fun. Granted, "fun" is a matter of opinion, but the void at least had some variety. Reducing that all to one giant fuster cluck after another gets incredibly dull very fast. Enemy spawns are sporadic. I've seen enemies spawn inside geometry, or pretty far away from the actual fissure. I was playing today and wondering why I couldn't kill any of the enemies. Turns out a corrupted ancient was stuck under the floor. I only happened to see a small portion of it poking through the geometry. Luckily my Phage is modded for max punch-through and I was able to kill it, but the time I lost still cost me the mission. This has happened twice for me that I've noticed. With the recent change to enemy AI, the moment most enemies spawn, they tend to run away and hide somewhere, never to come out unless you go find them. Unfortunately what this means is that eventually the fissure stops spitting out enemies because they're all hidden somewhere among the map. This is particularly bad for solo players because, if you leave the fissure to look for them, more will spawn once you find/kill them, and run off to hide before you get back. To be perfectly honest, this mechanic is pretty annoying during regular play as well. Combine the old void system with the new fissure system. Bring back the old void, but make void keys reusable. Different prime parts would still appear in certain void missions, however to increase the chances of getting the part you want, void traces would be used to charge your void keys. A key with no charge cannot be used at all. The greater the charge applied to a key, the higher the chance of getting rarer parts from void missions. Void keys can be charged using void traces similarly to how relics are currently refined. Once a key is used, it's charge is removed and must be charged again. Void rifts could continue to be used to farm traces to charge your keys, however failing a rift would NOT cause your mission to be a failure. Instead, successfully sealing a rift could provide materials used to craft your permanent void keys, while failure just means you miss your opportunity to obtain these parts. When completing a void mission with a group, similar to the current system, you would have an opportunity to receive a duplicate of a teammate's reward instead of your own. Every member of the team would require the proper key to join the mission, however if you receive a reward you don't want, you'd be given the option to leave with no reward in order to preserve some or most of the charge on your void key. This way players who don't get what they want don't have to fully charge their keys all over again. This is just off the top of my head, so I'm sure there are some issues with my suggestion that could be ironed out. Would love to know what others think of this. If I could upvote this 10 more times I would. The void isn't special anymore. There's currently less reason to go there than anywhere else in the game. Let's be real here. The real reason DE changed the market is to give platinum sale items more exposure. Please, DE, don't insult us by trying to pretend this was not the case. Don't get me wrong, I understand you need to make your money somehow considering Warframe is a free-to-play game and all, however this particular change creates a few very real problems. It's deceptive: New players in particular will see this and immediately assume they have to spend real money just to upgrade their arsenal. This is very likely to turn a lot of people away from the game and prevent the player base from growing. The new market system already confuses the hell out of a lot of novice and intermediate players. 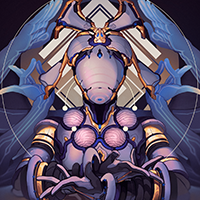 Totally new players, with no time currently invested into their tenno to keep them here, will not hesitate to leave upon seeing this. It's inconvenient: Since not every platinum purchasable item has an associated blueprint that can be bought, hiding the blueprints behind the plat purchase means people don't have an easy way of seeing what blueprints are available to them without clicking on each individual item. It makes browsing for a shiny new killing instrument much more tedious for people who aren't already familiar with the old market. The new market layout is nice, especially the search bar, but the placement of items is the major problem. Instead of a "Home" tab, the market really should be separated into "Blueprint" and "Platinum" (or whatever would be more proper names) sections. So Void 2.0 is grate, love it, but it has some major problems. The Rifts can be hard/frustrating to find. I thin the solution is simple, give them a minimap marker of some king. With the removal of multi reward missions (survival, defense, intersection, sabotage) we no longer have vast quantities of void junk to sell for ducats. A simple solution would be to increase the value of void peaces or lower Baro's prices (a 30% discount might work). The worst problem is that now everybody needs a key to get a reward. This means that we can no longer help clan mates or random people with our keys. This is very bad, Warframe is a coop game, and you just removed an excellent way to help new people. I have a solution to this major problem, make it so that if the game is set to "Invite only" all the players get a reward even if they do not have a key. Normal games should still require a key to get a reward. Please do not ignore this problem. The reason for this is that "key share" groups often had people leech rewards from other players and ditch without offering up their own keys to contribute to the group. Meanwhile, you can still farm relics together with your clanmates if you really want to help them. You can still help the people you trust without having to worry about the people you don't. This part I think they did correctly. It's inconvenient: Since not every platinum purchasable items has an associated blueprint, hiding the blueprints behind the plat purchase means people don't have an easy way of seeing what blueprints are available to them without clicking on each individual item. It makes browsing for a shiny new killing instrument much more tedious for people who aren't already familiar with the old market. I'm rank 10 player, got some stuff, did some sorties... Let's just say I'm not a really bad player. It took me 2 days to realise that the blueprint's aren't actually gone from the market. If I were new to the game I would probably just quit it because of lack of new weapons since I hate spending real money on pixels. I do like that I don't have to scroll over all vanity items to see which helmets I have and which I don't but... In order to buy some blueprints I spend too much time now. Yeah, helmets... That reminds me of "Neuroptics" or how these parts are now called. Really? Neuroptics? Some people can't even spell that properly. I haven't seen a single person using that word in the trade chat. That also balances the key/reward ratio. In Void 1.0 there was 1 reward for 1 key (I mean "one choice of reward") and in Void 2.0 there is one choice of reward for every key too. The problem this system meets is that if you are farming for let's say Ash Prime Systems, you want to have 3 other people in your team that also have this specific type of key... That basically comes to solution that was mentioned before: equipped relics should be visible to other players such as the dragon keys. EDIT: Still missing interceptions, defences and sabotages... rip multiple rewards, rip ducats. Well... Some people hate defences (I got a little frustrated about playing T3 Def) some people hate interceptions and a few people hate sabotages. General idea is the same though - multiple rewards aren't a thing anymore. Let's say that almost 70% of my ducats came from ADDITIONAL rewards. In order to get all the items that our lovely Void Trader sells every week and a bit, I would have to grind all day and all night - not gonna do it. And when it comes to sabotages: DE I beg you. Give me a reason to search for hidden caches in the void. Rare mods, more relics or maybe credit bundles? NO! The void should be unique and I should feel unique while doing the void sabotage. Can relics be a drop (like argon crystals) in ANY mission type in The Void? That's a big incentive for me to do regular void runs. As it is, I still don't do "endless" mission runs. I'm primarily a solo player. I've done some missions and void runs with friends a few times, but 90% of the time I run alone. This is why I have a special hatred of Interception. It's just near impossible, and horribly frustrating, trying to go more than 1 round alone in them. I used to hate defense as well, until I got ahold of Frost. He made them bearable, maybe even kinda fun. At least until they buffed nullifiers and increased their spawns. I could understand buffing nullifiers if they were a rare enemy, but they just seem to pour out of every crack and crevice! Really, the powers are a major thing that sets Warframe apart from every other third-person shooter. Why DE feels so strongly about taking those away from us (be it through nullifiers, infested parasites/disruptors, and energy drain eximuses, I have no idea. Not saying remove these altogether; they do add a degree of challenge to the game, but they're much too common as it stands. Hmmm I feel there is little reason to fight high level enemies now, which is kind of a downer. Game doesn't start getting mildly interesting till enemies are at least in there 60's, with a main emphasis on mildly. Enemies feel their best when they around 100, but outside of the one daily sortie 3 there is no reason to fight level 100 enemies. Raids are technically 100 but raids I don't really count as they are quite boring and you are still limited to how many runs you can do while still being rewarded. I feel this game needs a huge rebalance because players are so overpowered and DE got rid of the reason to do content that poses a minor threat. Thanks. Only reason I didn't end up getting confused is because I'm a completion-maniac. 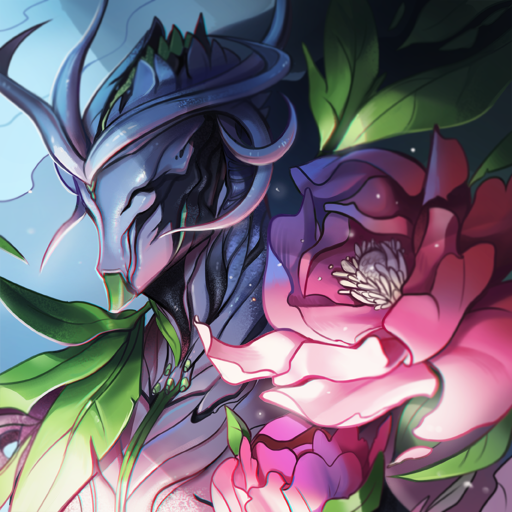 Building/ranking every item I can is pretty much what drives me to keep playing Warframe. I've already created most of the blueprints available through the market and hadn't actually checked it for a while. I typically only go to the market when my "build queue" is close to empty, and I need more things to build and rank, which I wasn't close to. I'd heard people talking about the changes in region chat long before I decided to look at it for myself.